I could not be more thrilled. The piece is absolutely beautiful and well worth the cost! 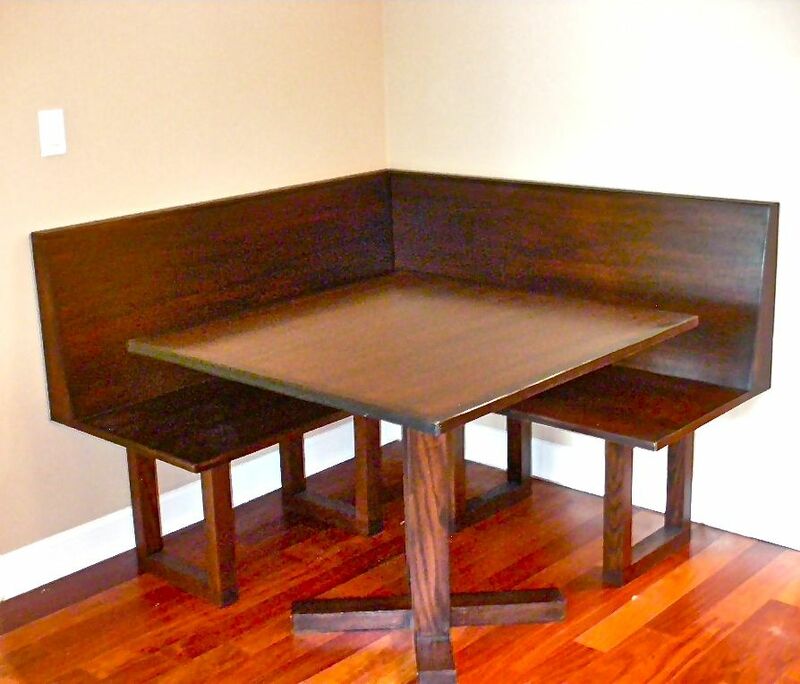 This bench and table were designed by the customer. It was made of hand milled red oak stained mahogany Customs seating cushions are to be added..
Dimensions: Each bench is 72 Inches. The table is 36 inch square. Every maker has a story. Be a part of Hammer Time Studio's's story by placing an order, leaving a review, and seeing your review appear here.